CHI Silk Infusion is a leave-in hair treatment. It can also be used as a heat protector, before using any heat tools, such as dryers, straighteners and curlers. It can be used on wet or dry hair and as long as you don’t use too much, it won’t weigh your hair down or make it look greasy. I usually use a 20c piece or .. about the size of a walnut onto damp hair, so not too wet. I usually towel-dry my hair then leave it for about 20 minutes before I apply the Silk Infusion. I do this because I have quite thick and long hair so it does take a little bit of time to dry/become damp. You can apply this straight onto towel-dried hair if it’s not too wet and you might only need a pea-sized amount if you have thin or short hair. If you’re not sure, start with a pea-sized amount and use more if you feel necessary. I usually only apply to the bottom of my hair, so about the last 20cm. Then any remaining product on my hands I will run through my fringe, just to avoid weighing down or flattening the hair on top. 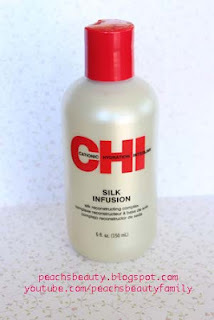 I loved CHI Silk Infusion for a long time. I have almost finished my second bottle 300mL and only my second because a little bit goes a long way so a bottle lasts for quite some time (I think it lasted almost a year for me). I love how it leaves my hair feeling after a wash and it’s always good to know my hair is being protected from my heating tools. My hair feels soft and silky and remains feeling that way even after straightening. For me, this product replaced my Morocconoil and it’s also more affordable. Unfortunately, I won’t be repurchasing this after I finish my second bottle as I have found a new holy grail (HG) leave-in hair treatment, Davroe Moisture Senses Argan Oil. I will be doing a full review of the Davroe Argan Oil soon, so please stay tuned for that to hear why I think it’s better than the Silk Infusion! - - There are a lot of websites which sell this product and I have found that prices vary greatly. Please shop around a bit if you are thinking of purchasing. Also check shipping costs and size of product J. 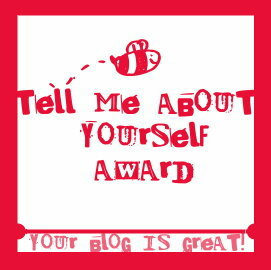 Make Google your best friend. - - I find this to be fairly reasonable, comparing it to Morocconoil which I purchased for $50 / 100mL. What's your favourite leave in serum?